As a student of Slade School of Fine Art in the late 1960s, Kennard abandoned painting in search of a medium more suited to his activism. He began splicing together photographs, re-imagining their content to create the influential and provocative works that have become icons of political art. Pushing his work and its message out into the world beyond the confines of museums and galleries has always been crucial to his motivation, and he has long advocated the free distribution of his works. 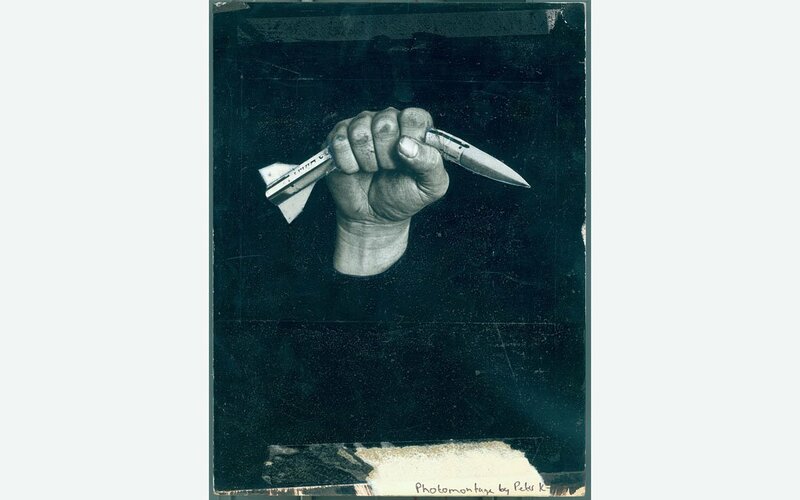 His images for the Campaign for Nuclear Disarmament, most famously the broken missile wedged in a CND symbol, were used widely in the 1980s and are still deployed in protests today. Claire Holland, The Daily Telegraph, 2015. His retrospective exhibition “Off Message” is at MAC Birmingham until 27 November 2016.